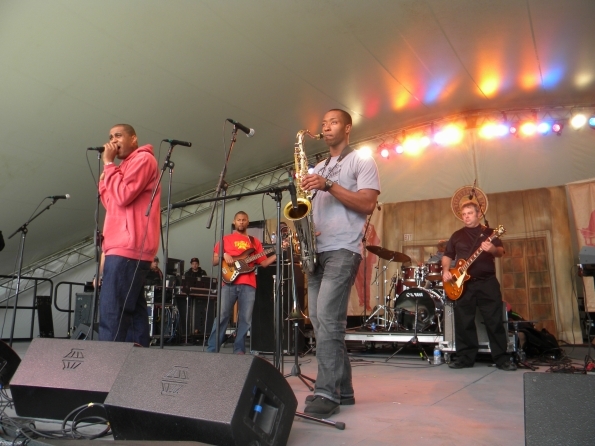 The King of Treme, Glen David Andrews kicked off the final day of the Voodoo Experience with Andrews mostly singing as his backing band played a mix of New Orleans jazz and funky fusion. 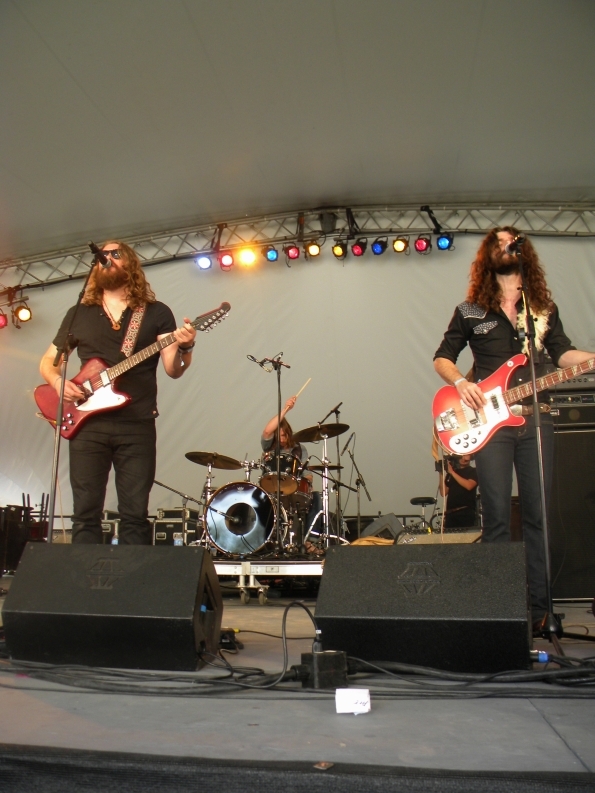 It’s been quite a year for the Sheepdogs. Since winning Rolling Stone’s prestigious “Choose the Cover” contest this past summer, the band has been on a whirlwind tour, signing with Atlantic Records and hitting Late Night With Jimmy Fallon as well as Bonnaroo and a stint on Project Runway. Their sound is a mixture of pure southern rock and boogie a-la the Doobie Brothers, with tinges of funk and country thrown in for good measure. The Sheepdogs played to a decently-sized crowd on the WWOZ Stage who, if they hadn’t already heard of them, were glad they did after the band’s set. 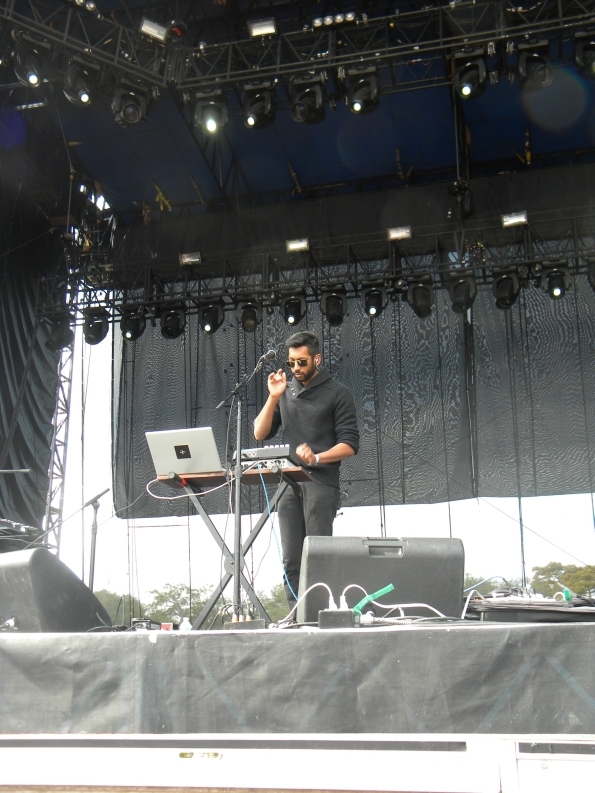 Ethereal indie band The One AM Radio mixed accordion with the electronic for their set at the main stage, playing songs reminiscent of Moby and Arcade Fire. A particular highlight of their set was the song “Plans” whose lyrics of escape and adolescence struck a chord with the onlooking audience. It took frontman Eric Victorino admitting that the band had come straight from a crazy house party in Houston for “some rich guy” for anyone to realize that The Limousines were running on lack of sleep and energy. 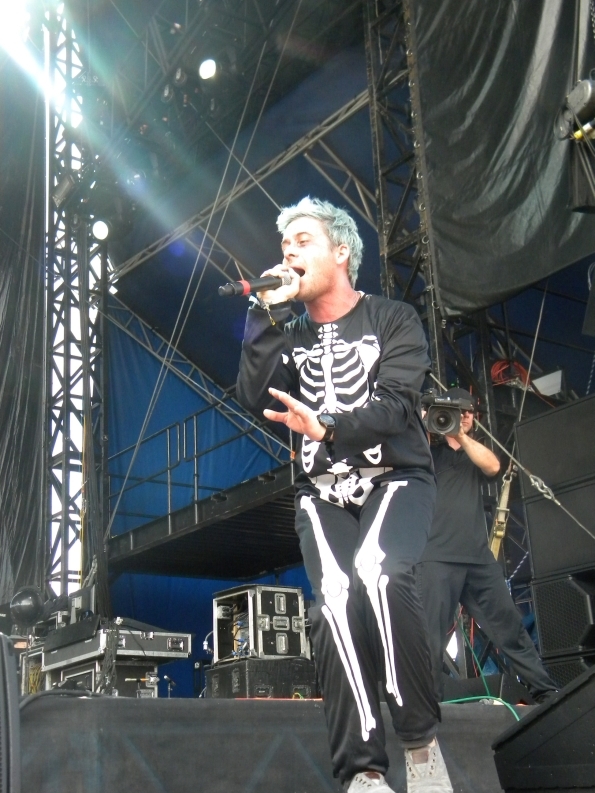 Dressed in a skeleton costume, Victorino raced around the stage, jumping from the stage right viewing booth while still performing. Besides playing their hit singles “Very Busy People” and “Internet Killed the Video Star,” The Limousines whipped out a retro rendition of New Order’s “Temptation” that truly showcased some of the band’s influences. Easily one of the most heavily hyped bands of the day (and for good reason), Portugal. 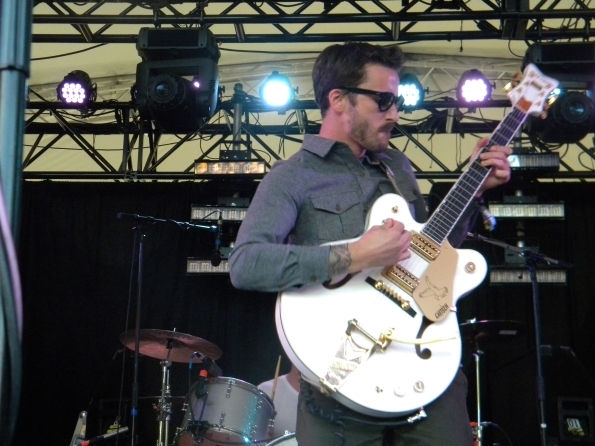 The Man were loud and proud, with frontman John Gourley leading the band through joyful jams, his guitar blaring and sweet vocals guiding each instrument along a beautiful soundscape. Unfortunately, I was only able to catch a few songs before heading to the main stage for TV on the Radio. 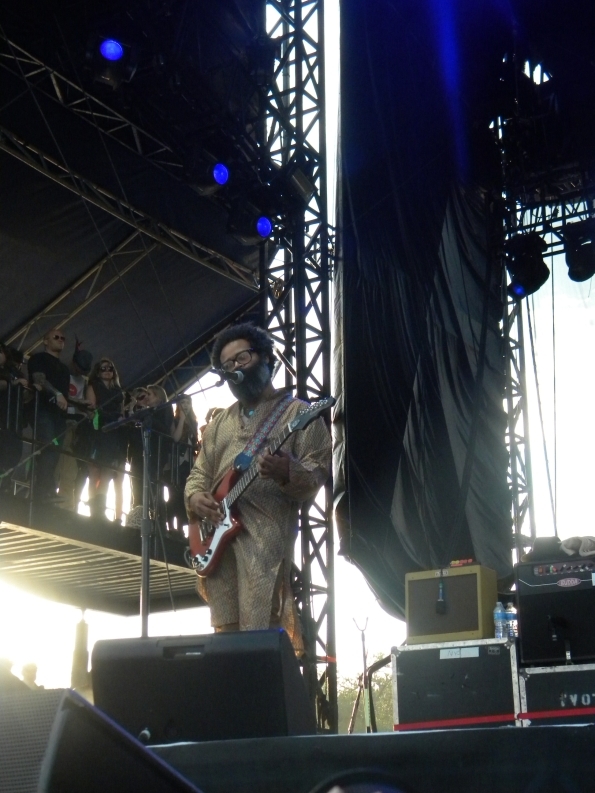 The epic music collective that is TV on the Radio was a force to be reckoned with on the main stage, as the largest daytime crowd I’d seen came with hula hoops, costumes, their dancing shoes, and possibly more weed than anything else. Though I’ve seen them many times live, they never fail to amaze me with their energy and tightness as a band, blending genres with a variety of instruments and effects. 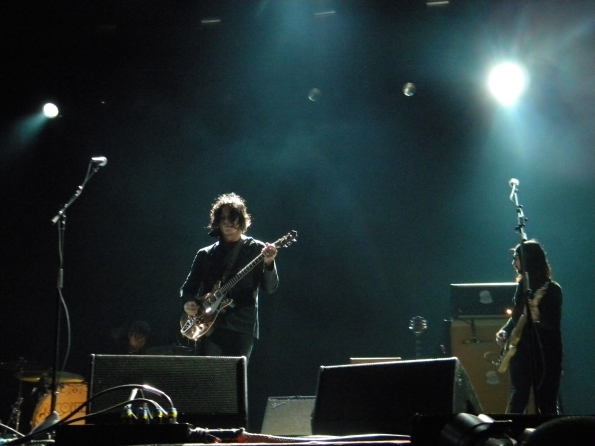 Headlining Sunday night at the main stage and closing out the 2011 Voodoo Experience were the Raconteurs, whose blend of guitar-heavy and poppy vocals were met with much enthusiasm from the audience. Though the band ended their set 20 minutes early, they played a masterful set encompassing the many genres that the Raconteurs draw from. A particular highlight was their tight rendition of “Level,” in which Jack White and Brendan Benson trading off beats in the main riff. Though Voodoo Experience ended on a relatively high note, many things were lacking from the festival, most likely due to a budget slashed to fund legal costs for main promoter Stephen Rehage. Unforeseen weather issues plagued the first night, yet a lack of adequate bathrooms, trash receptacles, lighting, and many other missing basic accommodations continued to plague the fest up until the very end. If Voodoo Experience hopes to continue its relatively successful run and enter its thirteenth year, it must be willing to compete with other, better funded festivals.